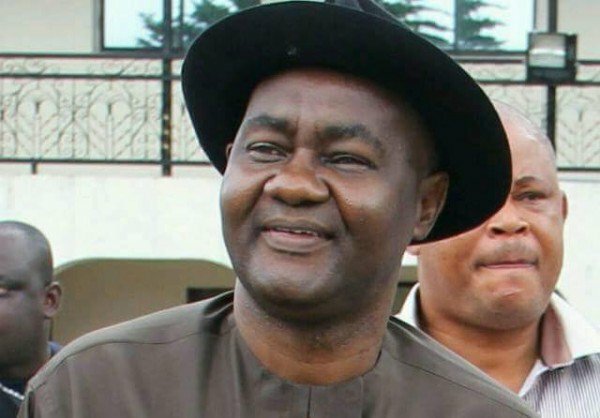 The senator representing Rivers South-East Senatorial District at the National Assembly, Senator Magnus Ngei Abe has said that, the All Progressives Congress (APC) is stronger than ever before and doing well in Rivers State even as he expressed confidence that the party will take over the state and retain control of the Centre in 2019. Abe who stated this while appearing in a live Television Programme commended the President Muhammadu Buhari led Federal administration for the development of infrastructure for Rivers people. The Senator said, “The APC government has done more for Rivers State than the PDP government ever did. Work has started on the Bodo-Bonny Road in the state; work is also on going on the East-West Road”. On the Ogoni Clean-up, the senator said “The President is committed to the Ogoni clean-up and he is working. This is the take-off point. The trust fund account is being opened and you have to finish all this process before you can accelerate. The PDP under the immediate past President had all the documents but put them in his locker. “The PDP government then had all the opportunity to implement the UNEP Report but they didn’t do it. They talked about it for years and nothing happened”. Abe further stated that APC in Rivers State is not dead but has done better than the PDP in terms of infrastructure and human capacity development. “I believe that APC is the only party in this country at this time that can solve the problems of Nigeria, unite the country and move it forward”. 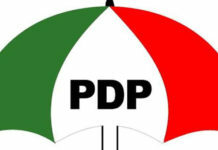 On the state of the international airport at Omagwa, Ikwerre Local Government Area, Abe said that because of the commitment of President Muhammadu Buhari to Rivers people, the government accepted to pay for a variation made by the contractor after the contract was been awarded by the PDP government. ”Because of its commitment to the Rivers people, this government have not only paid up the variation but is committed to finishing the international airport this year”. On Governor Nyesom Wike’s position over the forth-coming visit to Rivers State by President Muhammadu Buhari , Senator Abe emphasized the need for the governor to be grateful for the President’s visit, stating that whenever the date is fixed for the visit everybody involved including the Governor will be duly informed. “Rivers State has been in the news for the wrong reasons of recent and I think the Governor should have been the happiest person to hear that the President is coming to the state to see those people who have lost their loved ones and empathize with them”. “It would be an opportunity for the Governor to find a way to work with the President to ensure that we have a better security but because of the undertone of the violence in Rivers State, I think that is why he finds the visit uncomfortable at this time”. Abe admonished Governor Wike to put the interest of Rivers State first and stop playing politics with the security of lives and property of the people as the level of violence, including gruesome killing of innocent people in the state is unacceptable. 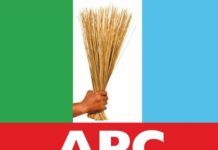 Recounting the genesis of the Rivers APC crises the former Secretary to State Government (SSG) said the Minister of Transportation, Chibuike Amaechi formed his own group in the party making it difficult for APC members to meet together to discuss the affairs of the party. 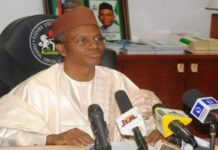 “Because some of us were advocating for some form of internal democracy within the party (APC) on the choice of candidates ahead of the 2019 elections, the Minister decided he was no longer going to carry everybody along but to form his own part of the party”. “This has made it very difficult for those with a contrary opinion to be able to meet in one place and discuss issues of the party. But, that does not mean the party is torn apart. We still have all our structures intact and means of communicating. We would continue to expand on those structures and enhance mutual communication within the party”. Abe maintained that in every political system, disagreements are inevitable and seen as instruments that strengthen democratic structures. “In any political system, disagreements are normal. In fact, every political system should expect some kind of issues because you have people with different needs, different ideas, different objectives coming together but the fundamental thing with Rivers APC is our agreement to take over Rivers State in 2019. We are united over it and have decided to solidly stand behind President Buhari and working together to ensure that he is returned as President. We have all agreed”. Abe noted that the party will continue to expand its structure as well as means of communication despite the internal disagreement in the party. “It is in the state that we have issues which are normal and unless we sit down on one table and allow the people to air their grievances, the crises will continue. After all, we do not have an alternative state secretariat, we have only one leader and that is the Minister of Transportation, Chibuike Rotimi Amaechi”. “A situation where I have something that I don’t like or I have something I want to complain of or I see something that is wrong in the party and cannot articulate it in a place where other people can respond and reassure themselves that their interests were protected, the present crises will still continue”. For the reconciliation committee headed by Asiwaju Bola Tinubu will work in Rivers because the problem in the State is not complicated. There are people who had their positions taken in a manner they consider outside the constitution of the party, there are people who feel threatened, there are people who feel excluded. It is just to create a platform where grievances can be discussed, reassurance given and the party will move forward. “The leader must acknowledge that we are all his supporters. We don’t have any problem with him. I say so clearly and conscientiously”. Senator Abe urged the leader to take advantage of the party structure which is intact and create a platform where people can discuss party issues without a predetermined answer to a question that has not been asked. Senator Abe whose recent thanksgiving in Port Harcourt, attracted over seventy percent of members of the National Assembly including the Senate President, Dr. Bukola Saraki and four serving state governors in attendance said, he has no apology for inviting Governor Ezenwo Wike to the event. “I have no apology inviting the Governor. We need to understand what has happened over time in Rivers State. You have a state where people have been killed, beheaded and the polity had become totally overheated and I felt and still feel we should do as much as possible to bring down the political temperature and create an atmosphere where Rivers people can decide their fate. If we don’t do that the tension will escalate”. 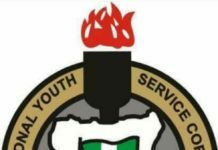 The Chairman on the committee for FERMA said there has been great improvement in the agency and attributed the success to the senate and the Managing Director Engineer Rafindadi whose dint of hard work has lifted the body to enviable levels in recent times. In his remarks on the sequence of election as reordered by the National Assembly, Abe said, “I support the president and I do so without reservations and without apologies to anyone. I think the President has done very well but there are things we can do better as a party”. “Our primary responsibility as leaders of APC is to come together, unite the party, solve whatever internal problems we may have, be it at the state or national levels. Face the elections and the repositioning of Nigeria which is what the President is committed to”. “There is a law that has been passed by the National Assembly. I don’t know if the President is going to sign that law or if he is going to veto it but if the President vetoes the law, I will not support any move to override the President’s veto because as a member of the APC, the President is part of the law making process. So, where he disagrees with something and he gives reasons for his disagreement, as members of our party, we should respect his views. If the President says it’s a law then, it becomes the law of the land and our opinion will become immaterial”. On his performance at the 8th Senate Abe attributed it to the dynamics of the National Assembly which according to him is different from the 7th Assembly. “My representation is stronger and we are working. I was out of the Senate for about two years. We had inconclusive elections and it took me almost two years to get back to the senate and by the time we came in as they say a lot of water has gone under the bridge. However, I promised my constituents that in this remaining year, we will try to do more than what we have done in the past years. We are working hard and will continue to work very hard”.